Alberto Contador hits the wind tunnel for Tinkoff-Saxoâ€™s Specialized 2014 bike set-up with Venge and Tarmac models … oh, and one called Roubaix .. Specialized bikes are everywhere at the Tinkoff-Saxo Gran Canaria training camp. Wherever you look, thereâ€™s that distinctive Specialized logo flashing past you. 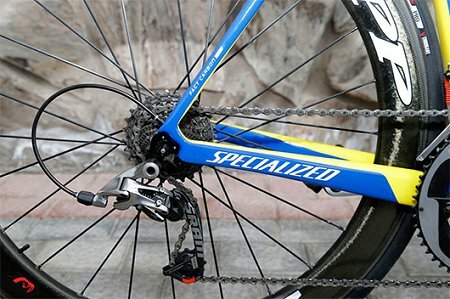 Specialized are once again bike sponsors of Tinkoff-Saxo, so have sent a number of support staff to assist the riders before the season begins. One of Specializedâ€™s team whoâ€™s been cutting a dash at the camp is global marketer Chris Riekert. As well as racking up the mountainous miles, he found time to tell us about the bikes Tinkoff-Saxo will be using in 2014 â€“ plus a few insider secrets on what Mr Contadorâ€™s been up to in Specializedâ€™s Morgan Hill, California wind tunnel. 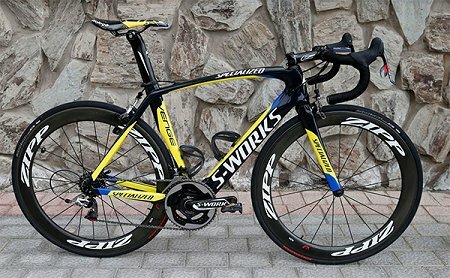 The most popular model amongst the riders is the Tarmac SL4 (above). 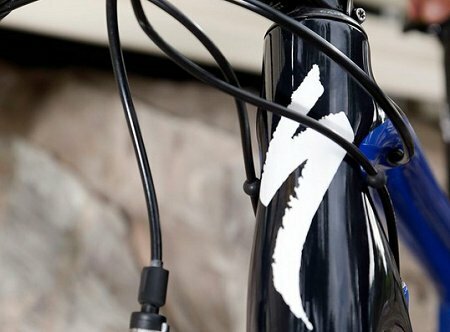 Itâ€™s a lightweight, stiff bike thatâ€™s great for climbing and acceleration. The Tinkoff-Saxo riders can also choose the Venge, a bike thatâ€™s incredibly aerodynamic. Whether you hit a flat stage or are going into a sprint, you need that edge. It also features terrific handling. 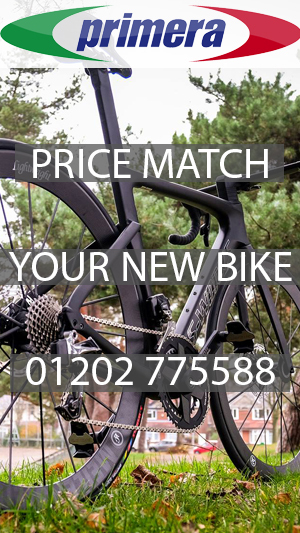 We also have the cobbles bike, the Roubaix, which consumers tend to use as a comfortable performance-style bike. But these guys rely on it when the roads turn rough. Weâ€™ll see some of the Tinkoff-Saxo riders break it out for Flanders. Nestled next to the line-up of bikes is an array of helmets. Which will the Tinkoff-Saxo riders wear in 2014? Itâ€™s their call. 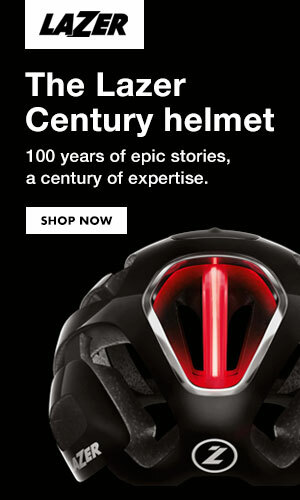 On the time trial, they can use the McLaren time trial helmet. On the road they can choose from the new Evade aero helmet or the Prevail. The Evade will be new to many. Explain the science behind it, please. We took a different approach to many manufacturers in that we didnâ€™t close the vents off â€“ we simply designed better vents. We discovered from testing in Morgan Hill that, when you run the vents vertically, they donâ€™t affect aerodynamics adversely. And they still provide efficient venting. Thereâ€™s an enormous amount of vertical ventilation. The top of the helmet is fairly closed with large vents at the back. It ensures air is sucked through and out without stopping. At 40km/hr, you gain 15-16 watts, which is important because your headâ€™s always in the air. What did Tinkoff-Saxo do at the Morgan Hill wind-tunnel? Alberto Contador visited recently and one of the things we examined was yaw sweep. This is where we test the impact of wind on the rider and bike over angles of +25Â° to -25Â° in increments of 5Â°. We also tested Contador on the hoods, drops and tops; with different helmets; in different body positions; and with both his favoured Specialized bike, the Tarmac, and the Venge. Weâ€™re trying to build up a profile of what his specific needs are at all speeds and every training scenario. We can then take that aerodynamic data and plug it into, say, what happens if Contadorâ€™s climbing Ventoux and thereâ€™s wind coming from this angle. Whatâ€™s going to be the best product for him? 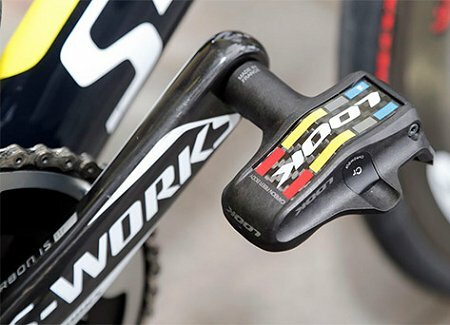 Did you test Contador on the Specialized Shiv, too? 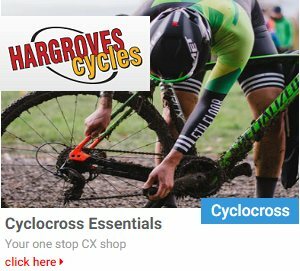 We did one day on road bikes specifically. After collecting all that data, we moved on to time trial (the Shiv) and looked at many things including changing his saddle. We moved him onto our new snubbed-nose saddle, the Sitero. He rode it for about a month and a half and then we switched back. It didnâ€™t work for Contador as he has to be comfortable. We also moved through high positions, low positions and raising his arms. And that was really interesting as, with Contador, lowering him wasnâ€™t faster. We found raising his arms helped to reduce frontal profile and cut drag. Have these tunnel tweaks been transferred to the road? Youâ€™re right â€“ working in the wind tunnelâ€™s one thing but out on the road is completely different. 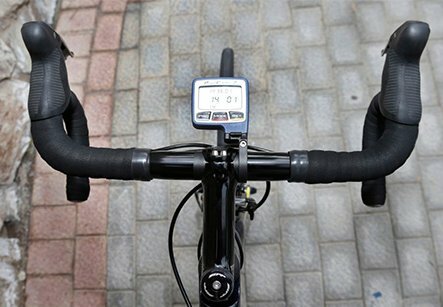 Thatâ€™s why a few years ago we opened up the door to testing telemetry in a velodrome, so the guys behind performance testing set up a bike with GPS-actuation software that tracks the bike in real time. 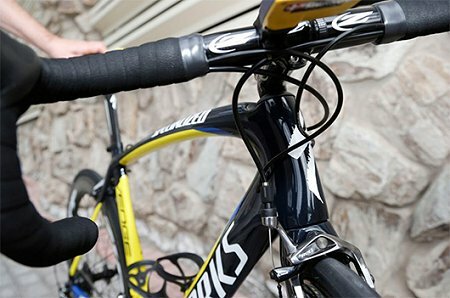 It features a laser sensor that sits on the top tube and records where the riderâ€™s chest, chin, head, hands and arms are, and measures whether itâ€™s changing. It helps to see if they can maintain the original position for the duration of the test. So we have them ride at different speeds and see how they adjust themselves. Mixing wind-tunnel testing with on-track testing is brilliant â€“ and even better when we take that telemetry software and test it out on the road, too. You can see how the rider works on uneven roads or winds. All of those things are necessary to improve a rider. 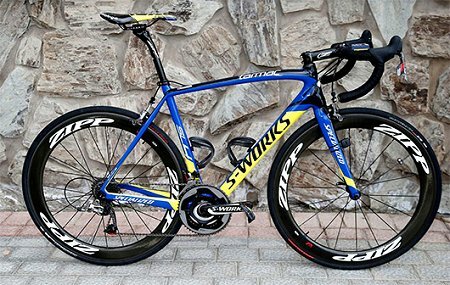 All Tinkoff-Saxo riders have a Tarmac SL4 â€“ this one is Roman Kreuzigerâ€™s. Riders wanted a bike that was incredibly stiff laterally. They wanted one that would explode out of the saddle and respond up the hills. The whole design criteria came from that. Thereâ€™s a bow in the headtube. That hourglass shape reduces flexing and reduces weight by employing less material. But it retains significant rigidity in the front end. So when you dive into a corner, the front end stays exactly where itâ€™s meant to be. The rear seatstays are very wide; in fact, theyâ€™re as wide as you can fit without hitting them with your legs. And that helps to pair that front-end stiffness with the rear of the bike, which elicits a more controlled ride. Both the SL4 and Venge feature near-identical build kits. 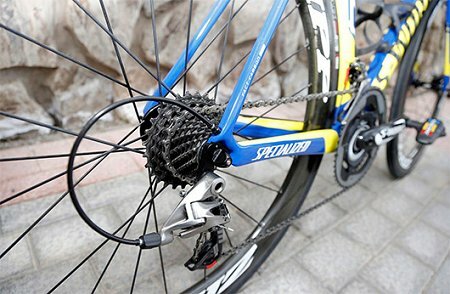 Tinkoff-Saxo will use SRAM Red full 22-speed drivetrains for the coming year. 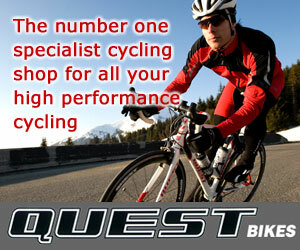 We spec Zipp Service Course stems, bars and seatpost on all the bikes. 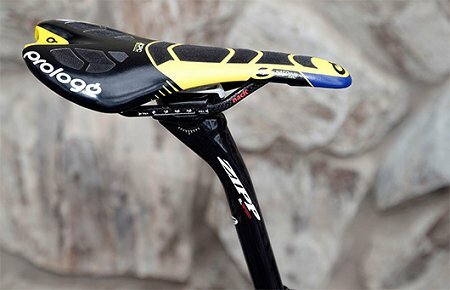 Sitting atop the seatpost is the Prologo Nago Evo CPC saddle. Itâ€™s comfortable but provides a firm base to transfer every ounce of power. 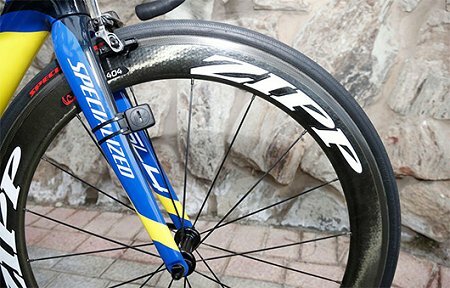 The Tinkoff-Saxo riders have their choice of wheels from the Zipp range â€“ anything from 202 to 808 â€“ though we do recommend based on performance data. Kreuziger used the 404 for this morningâ€™s 2,000m training ride. 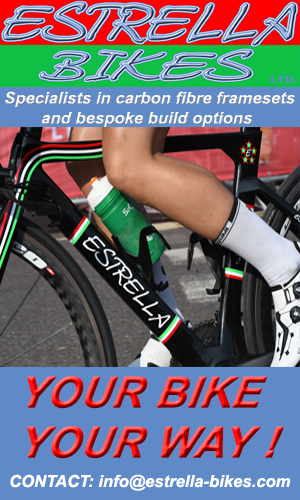 Thatâ€™s not a bad idea as it copes well with crosswinds, and youâ€™ll certainly have those in Gran Canaria. Because of its snub-nosed design, it really begins to work like a sail and produces forward momentum. Kreuziger could also have chosen 202 or 303, which are good for climbing. 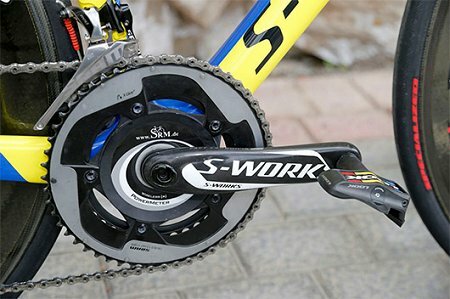 The whole team use SRM power meters. Theyâ€™re incredibly important, especially as data is becoming ever-more important in professional cycling. Collecting everyday ride information can be compared to what weâ€™re finding in the wind tunnel to see how it correlates. 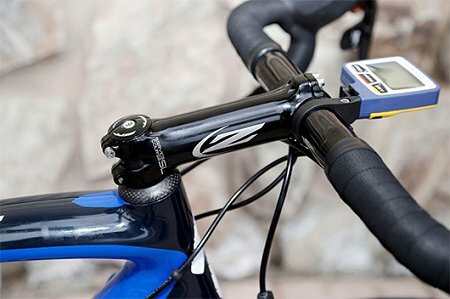 Not all the Tinkoff-Saxo riders will use it every day, though, and not everyone likes to see the data, so theyâ€™ll keep the head unit in their pocket. The Venge has been designed to handle all conditions but still benefit from aerodynamics. The problem you get into with aerodynamic bikes is that many people think you need to make them incredibly narrow, which ends up making it flimsy laterally. Everything about the bike took that into account and was designed to reduce torsion. It features identical componentry to the Tarmac SL4. The forks are quite wide, as is the headtube. This adds rigidity to the bike, while reducing material and so cutting weight. This is matched out back, itâ€™s the same idea as the Tarmac with wide seatstays to help reduce twisting in frame. 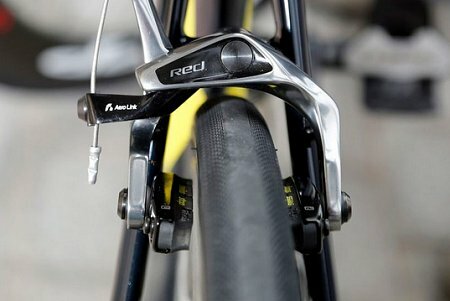 Tinkoff-Saxo riders use Lookâ€™s Keo Blade and Blade Aero pedals. They have an impressive aero profile, a large pedaling surface and are very light. Much of the stiffness comes from having slightly bigger tubes than youâ€™d expect. And the shape is different than most people would expect. Traditionally aero equals teardrop shape: big at the front, trailing to a point at the end. But that shape is terrible in crosswinds. Our overall shape is thin at the front and back and fat in the middle. That helps air retain contact around the frame for as long as possible. It also helps to generate lift to push the riders along. At 40km/hr youâ€™re going to be saving 20 watts. 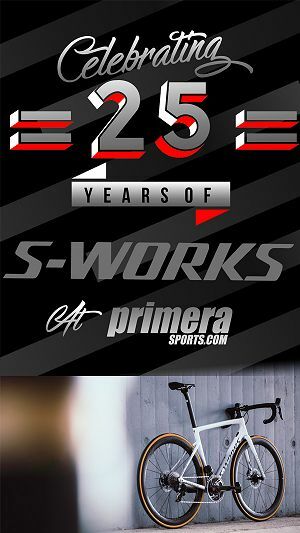 We run Specialized tyres, which is a big shift from previous years. Weâ€™ve been working to develop new tyre technology. Tinkoff-Saxo will use the Turbo. Itâ€™s actually slightly bigger than normal at 24mm wide, which matches up much better with the wider rims on Zipps and our own brand, Roval. Itâ€™s also great in the wet and maintains a low rolling resistance.